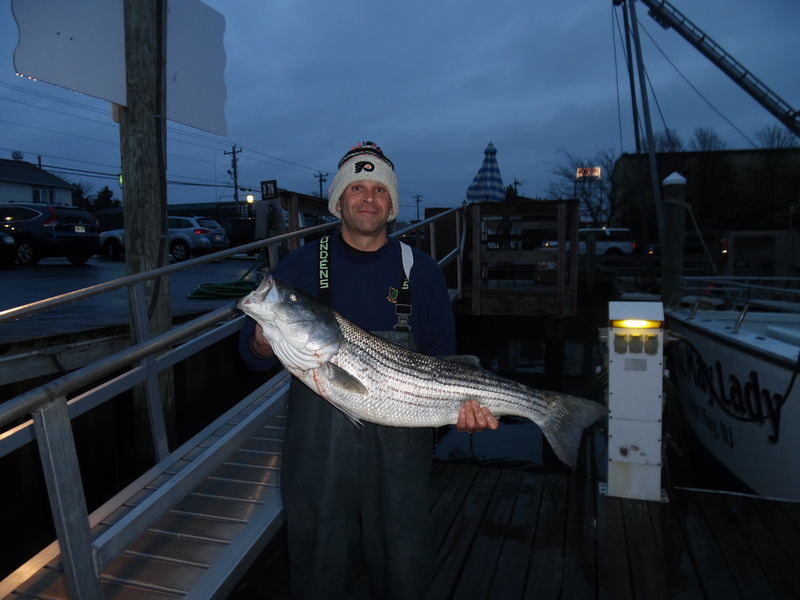 As many of you know last week produced some great striper catches with limits being the norm for most boats fishing locally out of South Jersey. Just a great week of striper fishing overall right through Friday. 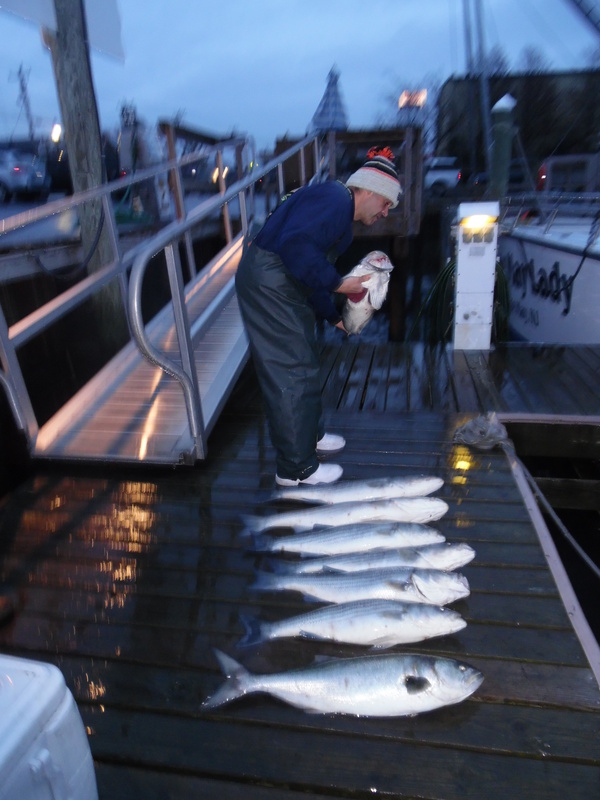 On Saturday we had one of our slower trips with 7 keeper stripers, a few shorts and a bluefish which is not really a bad trip but the bite has been so good I felt disappointed we did not limit out and called it a day by noon or so. On Friday’s trip we were done by noon and on our way home with all the stripers our charter wanted but not quite the same on Saturday. We departed our dock at 5:00 am to beat the Saturday crowd and had our lines in at daybreak but we found little bait and stripers at this location. Fishing at times can definitely be a little frustrating when the bait and fish move literally overnight but that’s fishing and we have all experienced it at some time. The stripers had moved a little south closer to Cape May on Saturday and we were about 3-4 miles too far to the north and missed out on some great fishing especially early on when many boats had their limits by early afternoon at the more southern location. We did end up with 7 stripers but nothing like what we experienced early in the week. One of our Capt friends that came over from Delaware and fished right in the middle of the fleet Saturday had 12 nice keepers in short order and released a bunch after catching their legal limit. They caught all their stripers on Mojo rigs but they modify them compared to the ones I use and it seems like their modifications worked really well for them even with heavy Saturday boat traffic. Most of the other boats fishing around them had great catches as well so it probably is more being in the right location at the right time than anything else as it mattered little on what we trolled earlier in the week when we had stripers on stretches, mojos, umbrella shad rigs and even lures trolled up near the surface. It is easy to catch them when they are on the feed especially when boat traffic is minimal but any slight modifications that can help when there is excessive boat traffic like on a weekend is worth noting as nothing shuts down a bite like boat traffic like we often see on weekends. 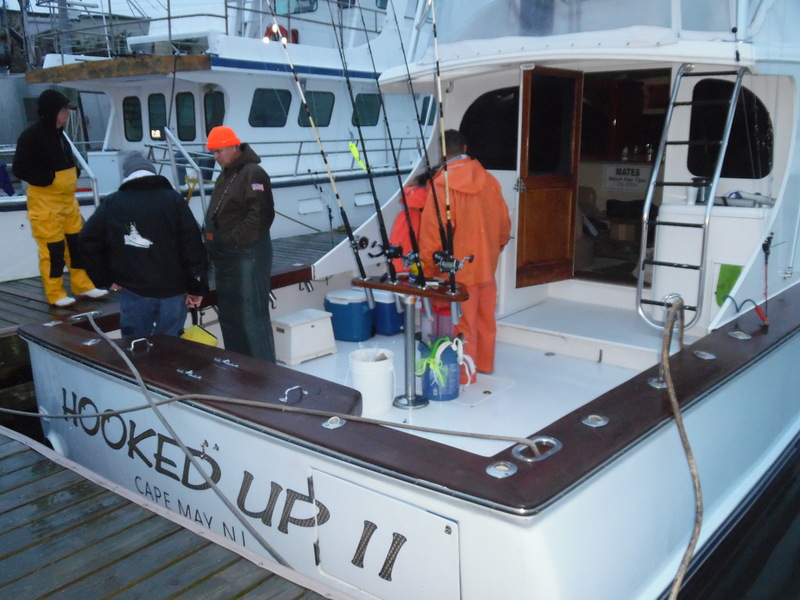 Most local boats have been doing great and having a great striper season with limit catches trolling off South Jersey and we should continue see some great fishing over the next few weeks. The weather looks really good later this week right through most of next week on the long term forecast with mild temps and NW winds. We have some open dates next week and plan to fish as long as the stripers are around. We probably will run some open boat trips as well and will announce them on the Bass Barn and our Facebook page.